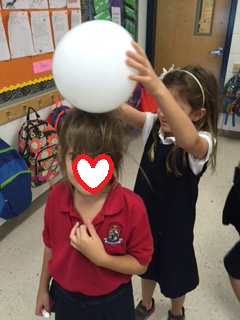 Yesterday, we started learning about forms of energy. Our district prefers the 5E lesson structure, so I began with "engage". We watched a 'forms of energy' quick video on Brainpop (https://www.brainpop.com/science/). If you have a subscription, Brainpop offers quite a few videos and resources for different forms of energy. If not, StudyJams (http://studyjams.scholastic.com), offers a good variety of short videos and resources for free! Today, moving into "explain" we learned about three specific forms of energy: sound, heat, and light. We journaled and added energy vocab to our interactive science notebooks and students sorted pictures representing sound, heat, and light energy. Later, we "extended and elaborated" by making a bracelet with 'special' (solar) beads. 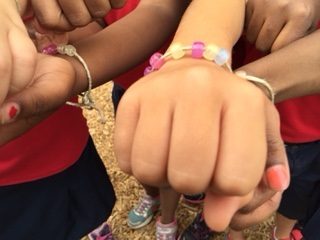 We then went outside to see which form of energy made our bracelets change color. Students were amazed by the 'magic'! Tomorrow, we will be wrapping things up with "evaluate". Students will journal a real world example of energy using newly acquired vocabulary and then we will play "Energy Scoot"!